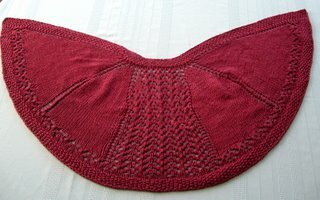 My "big project" is still the Knit One, Crochet Too Paint Box Tandoor vest. With luck and attention, it could be done by Groundhog Day. It would get done more quickly if I were not so easily diverted to other, smaller projects. I would like to knit mostly from stash this year, which has a lot of diversions. One diversion was some Cascade 220 leftover from something. 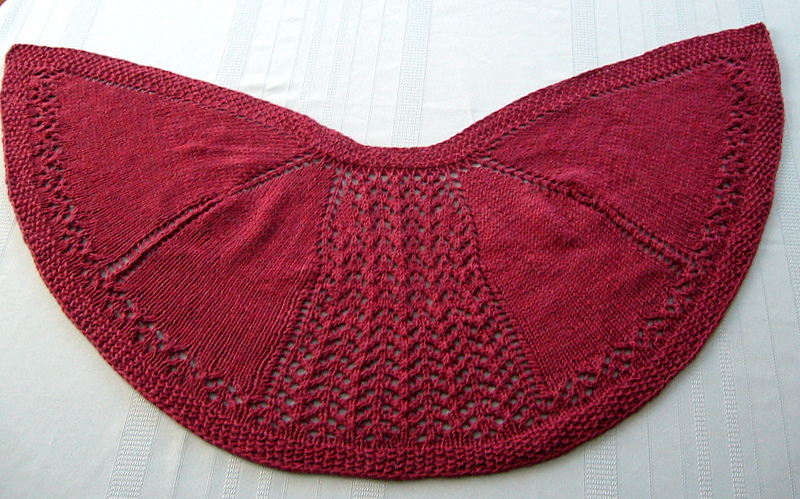 I started with the Summer Lace Shawlette from Interweave Knits Summer 2006 Sweet Somethings. Although it looks bunched up in the picture, it hangs nicely across the shoulders. Then I was watching my friend Chris (she's also the new boss, but she was a friend before she became the boss and friend trumps boss any day) sit in her office wrapped in a blanket, freezing, teeth chattering, ice forming. Our office space is not particularly cold to me, but it is to her. So I decided she needed some Fetching mitts from Knitty, with longer tops to reach the first knuckles. 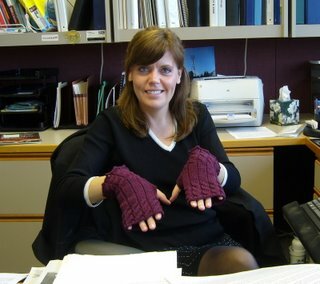 I don't think she'll wear them for her upcoming wedding, but they should keep her fingers warm while she works. The mitts look like they turned out great. Chris looks like a nice person, I would imagine she will make a very pretty bride.